There are two themes that move through more than one of today’s texts and speak to children. 1. God is with you always. 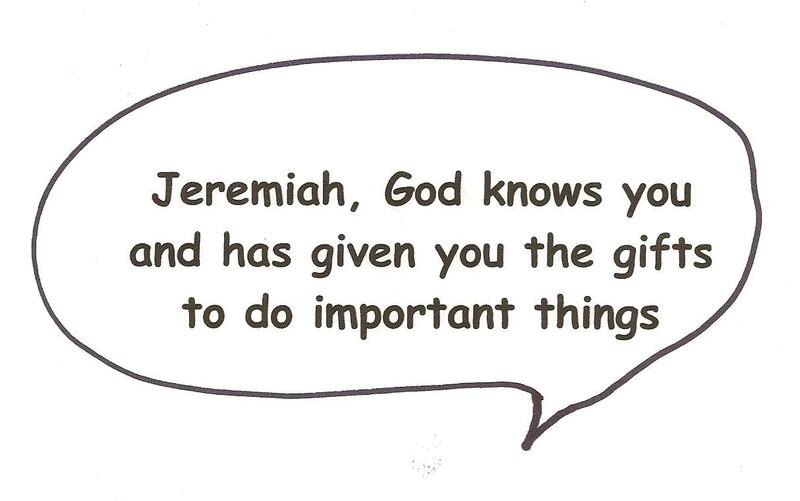 God promises Jeremiah to be with him until his prophet’s job is done. Both Jesus and Jeremiah know that when God is with you, you often find yourself in dangerous situations. Jesus is safe today but will die on a cross. One day Jeremiah was thrown down a well and left to die by people who do not like his message from God. (Having God with you is not always sweet and safe!) The psalmist trusts God to be with him even when things get dangerous. Given this Christians can and must be brave.
' Use this story to build Christ-based self-esteem in children (and older worshipers). Explore the fact that Jeremiah did not feel ready to do what God wanted. “I’m just a kid! No one will listen to me! And I don’t know what to say.” Insist that God sometimes calls us to do things we feel we are not ready to do or that we are not brave enough to try. Our challenge is to remember what God told Jeremiah – that God had given him everything he needed and God would be with him helping him know what to do and say. If you have children sitting close to you point to each one calling each by name saying, “NAME, God knows you and has given you gifts to do important things.” If the children are seated throughout the congregation, point to worshipers of a variety of ages, making this statement. Conclude with “…and you and you and you” pointing in all directions into the congregation.
' Tell stories of people who made have done things in God’s name that surprise even them but for which they were surprisingly well prepared. Malala is a teenager who stood up to the Taliban with a blog insisting that girls should be able to go to school. When she was shot for this, the whole world came to her side. Her family of teachers had unintentionally prepared her and continues to support her. Rosa Parks was a maid in Alabama. She had been listening to Martin Luther King’s preaching and working with others to end segregation laws. One day she simply refused to give up her seat on a bus to a white person who boarded after she did. She was scared, but was surprised to find herself ready to do what she felt God wanted her to do.
' Sing “God of Grace, God of Glory” to pray for the wisdom and courage to use our gifts to do God’s work. Point out to the non-readers the repeated chorus “grant us wisdom, grant us courage” before singing. Encourage all worshipers to sing it with Jeremiah and Jesus. These verses are filled with not-quite-everyday words about trusting God in dangerous situations. To help children recognize the words and therefore follow the prayer of the psalmist, instruct the congregation to turn to the psalm. Point out the key words noting the change from the “help me” words and phrases at the beginning to “I trust you” words at the end. Then, invite the whole congregation to read the psalm aloud together.
' Each Super hero/ine has a gift that is used for good. Identify several superheroes/ines and the gift each possesses. Think Spiderman, Bat Man and Robin, Wonder Woman…. I might even add Jesus as a very special kind of super-hero who could heal, walk on water, and feed a crowd with one boy’s lunch. Point out that the difference in each of them and their arch rival is how they use their gift. Again, add or let the children add the details. Conclude the discussion by putting into your own words Paul’s message that the greatest or superest gift of all is love.
' It’s also a good day to talk about Harry Potter. In Harry’s story everyone has magical gifts. Some are a little more powerful than others. But, the main difference in the characters is how they use their magical gifts. Voldemort uses his power trying to get everything for himself. It turns out that Dumbledore made some bad choices about how he used his gifts in the past. But, he learned from his mistakes and in Harry’s time always uses his gifts for good. 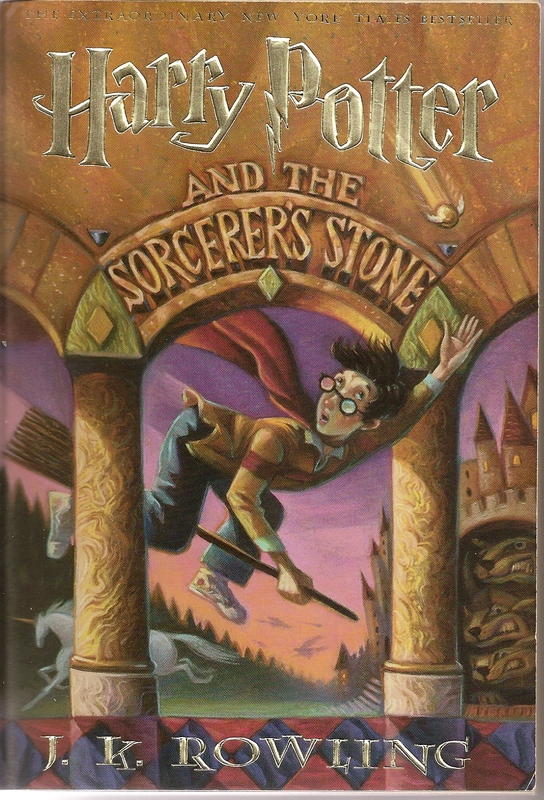 Harry and all his friends throughout the books are learning to use their magical gifts and making choices about how they will use them. 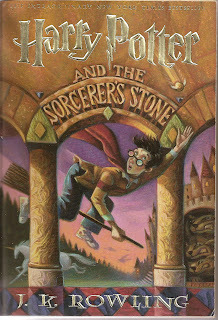 Throughout the books love is held up as the strongest power in the world. No magical power can stand against it. Sounds like J.K. Rowling and Paul have a similar message.
' 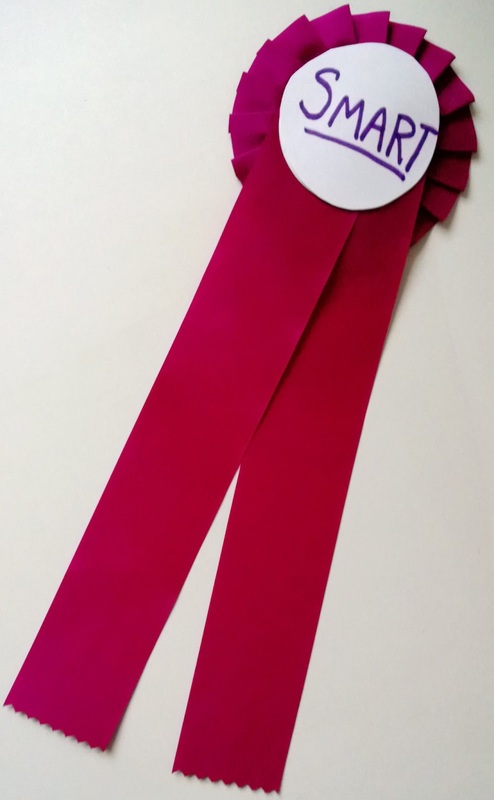 Make a collection of prize ribbons. Mark each one with a category such as Smart! Fast! Funny! Strong! Rich! Beautiful! etc. Make one ribbon marked “Loving!” for every child. Present each of the ribbons one at the time briefly noting how good it is to be each of those things. (Do not award any of them). Present the loving ribbon last. Point out that Paul says the others are OK but the only ribbon that really counts is the “loving” ribbon. Pick up each ribbon, compare it to the loving! Ribbon, and toss it aside, keeping the “loving!” one. Give a “loving!” ribbon to each child to post in their room at home as a reminder to strive to be more loving every day.
' Turn verses 4-7 into a prayer of confession such as the one below. One: Love is patient and kind. All: Lord, it is hard to be patient when there is so much we need and want to do. When other people slow us down, it is easy to forget to be kind. One: Love is not jealous or conceited or proud. All: But we are, God. We look at some people and think we are better than they are. We look at other people and feel jealous of what they have and what they can do. Forgive us. One: Love is not ill-mannered or selfish or irritable. All: But we often blurt out rude, hurtin names and accusations, almost before we know what we are saying. Help us learn to think before we speak. One: Love does not keep a record of wrongs. All: But we remember even those wrongs we have really tried to forgive. We remember them and bring them up when we are angry or when we want our own way. We use them to hurt even the people we love. Help s to forgive and forget. One: Love is not happy with evil. Love is happy with the truth. All: But it is hard not take secret delight when people get what they have coming to them. Teach us compassion, God. One: Love never gives up; and its faith, hope, and patience never fail. All: But we give up easily. We give up on other people. We give up on ourselves. We give up on making a difference. We lose hope that anything will ever be any different. Forgive us, for we pray in Jesus’ name. Amen. One: Hear this about God’s great love. God is patient and kind. God does not keep a record of our wrongs. God does not remember our failings at loving, but is happy about every one of our successes. God never gives up on us because God’s love is forever.
' To explore verse 8 about growing up, describe three children trying to be grown ups. One dresses in her mother’s clothes, wears makeup, and insists on staying up late. Another pretends to know everything and bosses everyone around. A third loves and takes care of everyone around him. Ponder which is really more “grown up.” Refer to verse 13 to find the three things that prove you are grownup.
' Love is one of the main themes of this year’s readings for the Sundays of Lent. Go to Year C - Observing Lent and Celebrating Easter (2013) for an overview of this theme. If you plan to follow this theme, be careful not to steal your Lenten thunder today.
' This is a hard story to unpack for worshipers of any age. The basic message for children is that God is not just my God or your God. God is God of everyone in the world. God loves every person in the world as much as God loves us. One way to explore this is to present a series of pictures of unusual looking people. As each is presented ask, “does God love this person as much as God loves you?” Children will quickly figure out the right answer to all of them. Laughingly complement them on doing that. Then ask them to think of one person they really do not like, someone who they’d rather not sit with or be on a team with or even have to talk to. Give them a moment to think of this name without telling anyone who it is. Then, ask the question again. “Does God love this person as much as God loves you?” Note that it is harder to give the right answer on this one, but that the answer is still true. Conclude the conversation with a brief prayer asking God to help us love these people as much as God does. Old National Geographics are good sources of pictures for this.
' Follow up on the above by inviting worshipers of all ages to think of a person or group of people they do not love. Without writing the name on the paper, fold them into a small piece of paper which has been included in the bulletin. 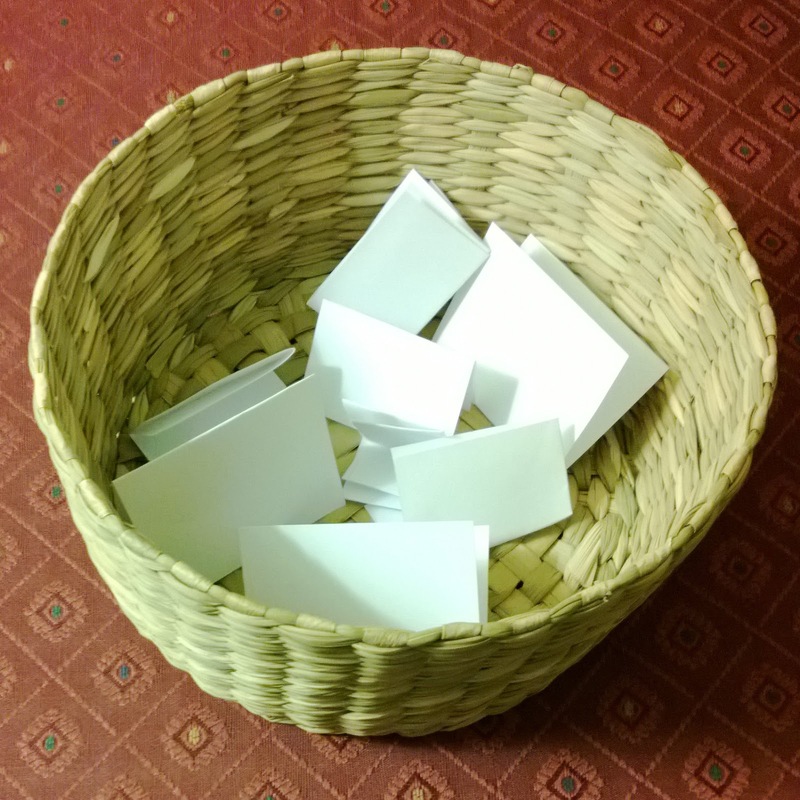 Pass prayer baskets into which people drop their folded paper with silent prayers for that person or those people. Thank you so much for all of these wonderful ideas. Every time I am preparing for our children's church I always check out your blog first and your ideas are always the inspiration for what we do. I particularly like this weeks and the way you have tied all the readings up.